A couple of weeks ago my precious father in law quietly passed away at age 87. He was blessed with many full and enriching years of life. It was a fulfilling experience to meet so many of his life-long friends and extended family during his visitation and his funeral (I like to refer to it as a celebration of life). Through conversations with many of these friends and family, I had the opportunity to share about being a diabetes educator and, I found out several were familiar with- Reece’s Pieces in a Diabetes World blog, which I began last summer. As you can imagine, they had questions such as: Do you have diabetes? Why did you start a blog? as well as many other questions. Papa’s death, along with the engaging conversations had with his friends of all ages, has prompted a time of reflection in my own life. I am intentionally taking the opportunity to reflect on my personal life – you know, the what’s and the why’s of my daily endeavors I commit my time and energy to. I’m even asking, why Reece’s Pieces in a Diabetes World? Over the last 13 years, empowering people and serving people with diabetes has been a significant driver in my professional life. Over the last several years, I have had the privilege to get to know personally some very innovative people living with diabetes. I’ve met many diabetes educators who have provided creative and engaging support for those individuals living with diabetes. They’ve all taught me how to think “outside of the box” to have a greater impact on those living with diabetes. Last summer, I decided it was time for me to model what I had seen others do. 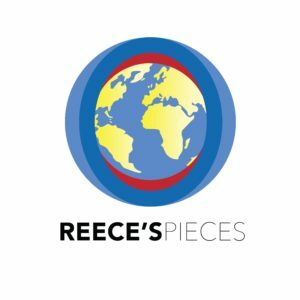 Hence, Reece’s Pieces in a Diabetes World (RPDW) was born last summer with the mission to provide practical information about medications for those living with diabetes. Back to Papa, he spent the last 10 months enjoying life in an independent assisted living center which created the perfect environment for support and new friendships. Papa hit off a great friendship with Tom and, they both enjoyed watching old movies together in the afternoon. I found Tom particularly interesting in his rich life experiences which included both military and business worlds. Also, I learned that Tom has Type 2 diabetes; so naturally, I had a desire to learn more as to how I could possibly provide support and encouragement. Unfortunately, I was not afforded the opportunity. Sadly, Tom didn’t have any peer support or support from a diabetes educator in managing his diabetes. Tom quietly passed away just a few days after Papa passed. As in Tom’s case, managing diabetes is quite difficult when grieving the loss of a dear friend. Once you put your passion into action in a meaningful way, a natural momentum is created. Experiencing challenging life events will inspire us to dig deep within our soul and question ourselves as to why and what we are doing with our time. Doing so will help us to determine what really matters each day of our life here on earth. What do you do each day to impact the lives of others living with diabetes? Why are these actions or activities important to you? Who should you reach out to and offer your support to? This blog is dedicated in memory of my father in law, Harold Reece. Follow me on Twitter and Facebook @ReecesPiecesDi and Instagram ReecesPiecesDI. Check out Reece’s Daily Piece. Metformin…. 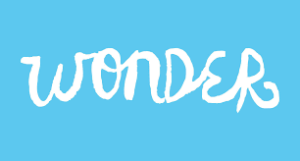 Is it a Wonder Drug? Meg, 28 year old Caucasian female with polycystic ovarian syndrome (PCOS), phones me on a Friday afternoon around 4 pm as she curious as to learn more about metformin. She has an appointment on Monday morning with gynecologist to discuss increasing her odds of pregnancy in light of her having PCOS. She had heard from a few friends that metformin could assist with getting pregnant in presence of PCOS. She and her husband have been trying to conceive for eight months. Polycystic ovary syndrome (PCOS) is the most common endocrinological disorder, comprised of both reproductive and metabolic characteristics. Approximately 88% of women with PCOS are either overweight or obese. Insulin resistance is widely recognized as a common feature of PCOS, independent of obesity. Whether the role of insulin resistance is directly related to PCOS or associated through obesity, it undoubtedly raises a clinical concern with providers and patients. Metformin was originally introduced in the management of PCOS to establish the extent to which hyperinsulinemia (increased circulating insulin levels) influences the development of the syndrome. Today, metformin works in PCOS by increasing insulin sensitivity in peripheral tissues, therefore reducing circulating insulin levels. Other reported effects of metformin in PCOS include restoring ovulation, reducing weight, reducing circulating androgen levels, reducing risk of miscarriage, and reducing risk of gestational diabetes. 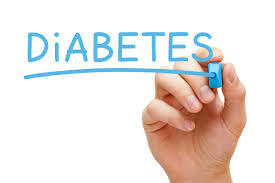 Patients at an increased risk for the development of type 2 diabetes mellitus (T2DM) are commonly characterized as having “prediabetes.” Prediabetes is defined as having a fasting plasma glucose of 100-125 mg/dL, a 2-hour post-prandial glucose of 140-199 mg/dL, or an A1C of 5.7-6.4%. While its use in prediabetes has not yet been approved by the FDA, recent guidelines recommend considering the use of Metformin to prevent or delay the onset of diabetes in patients with prediabetes (especially those who are < 60-years-old, have a BMI > 35 kg/m2, or have a history of gestational diabetes). In the Diabetes Prevention Program (DPP) trial, Metformin was shown to reduce the risk of developing T2DM by 31% as compared to a placebo group. Metformin is the preferred initial pharmacologic agent for the treatment of type 2 diabetes mellitus (T2DM). It is well established as an effective, safe, and inexpensive medication. Along with increasing insulin sensitivity and reducing the amount of glucose that the liver produces, metformin has also shown beneficial effects on lowering A1C, promoting weight loss, and reducing cardiovascular events and death. While Metformin may be used alone in the treatment of T2DM, it can also be used in combination with almost all other available agents for the treatment of T2DM. Metformin overall has relatively few adverse effects which are gastrointestinal related. Diarrhea is the most common adverse effect that I see in practice. 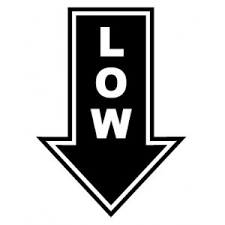 Practical tips for decreasing risk of diarrhea are starting with low dose (500 mg) and gradually increasing dose as well as using extended release (ER) product. Personally, I found taking a probiotic while also taking metformin to prevent diarrhea. While metformin is a safe drug with a strong track record, there are still a few lab values that must be monitored. In terms of renal (kidney) lab values, estimated glomerular filtration rate (eGFR) should be checked before starting metformin then at least annually or more often for those with at risk for renal impairment (i.e. senior adults). When eGFR is below 30 mL/min/1.73m2, metformin must be discontinued. When on metformin for longer than a year, a slight risk for vitamin B12 deficiency exists. Therefore, it is advised to have vitamin B12 level checked. There are typically no symptoms associated with mild vitamin B12 deficiency. With more severe cases of vitamin B12 deficiency, the possible symptoms include fatigue, pale skin, shortness of breath, vision loss and mood changes. Good news! Meg became pregnant after several months of metformin and additional infertility medication therapy. She was able to tolerate metformin without any side effects. She is now a mom to a healthy little boy, TJ. I was diagnosed with prediabetes a couple of years ago due to extended lack of exercise following foot surgery and unhealthy eating. As a side note, I have always struggled with overeating and having a giant sweet tooth. I discussed with PCP about taking metformin and working on improving my lifestyle. I am thankful that increased physical activity, healthier eating and metformin returned my blood sugar to normal range. Today, I no longer have prediabetes. 1. Lashen H. Role of metformin in the management of polycystic ovary syndrome. Therapeutic Advances in Endocrinology and Metabolism. 2010;1(3):117-128. doi:10.1177/2042018810380215. 3. American Diabetes Association. Standards of Medical Care in Diabetes-2018. Diabetes Care 2018;41:S1-S141. Prior Authorization…Getting Over the Hurdle! Juan, a 34 year old male who has Type 1 diabetes and is on an insulin pump, calls me frustrated that he needs prior authorization (PA) for Humalog which did not require a PA last month. As it turns out, the formulary for his prescription medications changed in April. He is also frustrated because the last time he used another rapid acting insulin his blood sugars ran extremely high and very difficult to keep in range. In this world of ever changing drug formularies and health insurance challenges, keeping track of preferred medications and medications that require PAs is frustrating for everyone! That includes not only the patient, but also the pharmacist, medical office staff and prescriber. The process of prior authorization was initially implemented as cost savings tool. Yet it seems to have gone off rail at some point in the not so distant past. So what transpires in the PA process? So how can the frustration be minimized? Be informed about your formulary (a list of preferred drugs covered by your insurance plan) in terms of what medications are preferred as well as the cost of any deductibles and amount of copays. Compare the list of your current medications with those preferred by the formulary and note if PA is required. Keep in mind most formularies usually change at least once a year. Ask any formulary related questions to the human resources or benefits department at your employer. Formulary information may also be obtained at the website for your insurance plan. As it turns out, Juan’s provider and I worked together to get a PA submitted. It took about 72 hours for consent and now having the green light for the Humalog PA, I phoned the pharmacist to share the great news. Juan picked up his Humalog refill later that afternoon. A hurdle has been overcome for a person living with diabetes. Sandy who has Type 2 diabetes goes to her local pharmacy to pick up her prescription for Trulicity®. Upon arriving at the pharmacy, it is explained to her by her pharmacist that her insurance company will not cover Trulicity® without her first “failing” on metformin, sulfonylurea (i.e. glipizide) and DPP-IV inhibitor (i.e. Januvia®). Sandy frantically phones me, her diabetes educator, in sheer frustration. After explaining to her why this has happened, I assure her that we will work through this so she can get the medication she needs approved by her insurance. Step therapy is designed as a tool utilized by health insurance plans to contain costs through requiring patients to “try and fail” less expensive medications before receiving the most appropriate medication. Keep in mind these are medications that have been selected by the patient’s healthcare provider! Unfortunately, in reality very little oversight of step therapy exists. There is a lack of evidence showing “fail first” policies are effective or take into consideration adverse effects of insurance company’s preferred medications. Some of the common chronic disease states that are targeted for step therapy are diabetes, cancer, hypertension, HIV/AIDs, pain, rheumatoid arthritis and hepatitis C. The common challenges with step therapy is that the appeal process is lengthy, protocol guidelines are inconsistent, guidelines are not always based on the most current clinical and scientific data, and the inconsistent appeals process lacks appropriate healthcare professional leverage. Numerous states have recently passed legislation that is designed to “reign in” step therapy. In 2018, the Georgia legislature – (my home state) during their annual session, introduced a bill sponsored by Representative Sharon Cooper HB 519, Step Therapy legislation. I must say that Rep Cooper is also the long term serving Chairwoman of Health and Human Services Committee who my husband served on the committee with during his time in the Georgia Legislature. He thought very highly of the Chairwoman Cooper and felt the bill was on its way to passage if she was personally carrying it. HB 519 would limit step therapy and fail first protocols. Dorothy Leone-Glasser, who I consider a hard working stalwart, led the advocacy efforts for the bill. The diligent work of Chairwoman Cooper and Ms. Leone-Glasser paid off when HB 519 passed the House. Unfortunately, when the bill arrived in the Senate, a similar enthusiasm and passion for step therapy was lacking. The bill sat and sat in the Senate committee for several weeks. After a series of twists and turns, step therapy legislation language was placed into SB 325, which had not a thing to do with Step Therapy, but again unanimously passed the House. The fate of SB 325 ended in the Senate without passage vote. Unfortunately, during this session only the House understood the importance and impact of step therapy on those living with various chronic diseases – thank you Chairwoman Cooper! With diligent work, during the next session, I believe both the Georgia House and Senate will take action to cut through the red tape of step therapy and the insurance industry. 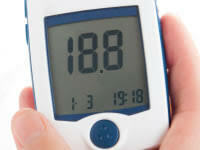 Sandy had been taking metformin for a couple of years yet her hemoglobin A1c remained at 9%. She had sulfa allergy so she is unable to take sulfonylurea. 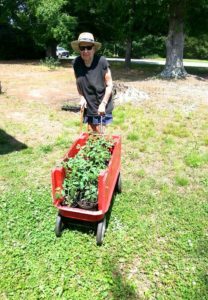 Sandy was placed a DPP-IV inhibitor, which only lowered her hemoglobin A1c to 8.5%. After a couple of months, she was placed on GLP-1 receptor agonist. After a few months, she achieved an A1c of 7.2%. If, she had been placed on the GLP-1 agonist earlier, Sandy’s progress would be reported very differently than we are seeing today! It is worth noting that …. Always share with me your thoughts and comments. Your story could be the next one shared! Nan, a 67 year old retired teacher with Type 1 diabetes who wears an insulin pump, came into to see me after getting off work from her part time job with an interest in a “trial run” of the latest DexCom G5 and Libre CGMs to see which the best fit was for her. I shared with Nan my recent experience with the DexCom G5, as a diabetes educator who does not have diabetes; I felt it essential to have an experience wearing DexCom G5 and Libre. This hands on experience provides me with an informed dialog beyond the basic information I read in those product brochures. So having had a couple of weeks of wearing the DexCom G5 it was now time for me to experience the Libre. I must confess “getting connected” to any CGM is a bit of encounter for me! As my husband pointed out, it may be primarily because I do not read directions and my lack of technical abilities to use devices in general. Attaching the sensor to the backside of my upper arm was much easier than I had anticipated. There’s just a few simple steps….attach the sensor to the applicator, place the applicator on my arm, and press down on it to secure to my arm. To finish the sensor initiation, I scanned the reader over the sensor. Now, I had to wait 12 hours before I was able to get my glucose reading. I did much better with this sensor application as compared to the DexCom G5 sensor. However, I prefer only waiting 2 hours rather than 12 hours to see my glucose value. I absolutely loved getting to “scan the sensor” on my arm with the hand held reader. For the first few days, I found myself “scanning” my sensor numerous times a day. It gave me a strong sense of comfort especially, when I had a low and high glucose (for someone without diabetes). The reader advised me to do a finger stick to confirm the value before making a treatment decision. While I enjoyed not having to do finger stick calibrations twice daily, I was questioning why one CGM system would require twice daily finger stick calibrations and another would not. While I know that the product brochure clearly explains the need for or lack of need for blood glucose calibrations, I am curious as to how this can be. About six days into the wearing my Libre, my “scanning” frequency decreased significantly to just a few times per day. OOPS! – Forgot I Was Wearing It!!! I am not exactly sure why I forgot I was wearing the sensor just before the end of my 10-day experience, possibly due to it being on the backside of my upper arm rather than my stomach in plain sight, or not having to do a finger stick calibration? I honestly did not remember the sensor being on arm until I ran into something that almost pulled the sensor off my arm. Obviously, the novelty of “scanning” wore off for me. While I could easily see how my blood glucose trends on my cell phone with the DexCom G5, I wish the Libre afforded the same opportunity. After Nan’s experience of wearing DexCom G5 and Libre, she opted for the Libre for numerous reasons including: arm versus abdominal, no finger calibrations and scanning with the reader. Working in unison, Nan and I learned that 1) calling ahead to make sure the local pharmacy either stocks or can order the Libre sensor kit; 2) utilize drug savings cards (i.e. Georgia Drug Card-may need to activate before going to pharmacy) to decrease out of pocket costs; and 3) it’s best to go through a medical supply company if you have Medicare. As a person with diabetes who may be interested in a CGM, inquire with your diabetes educator, endocrinologist or primary care provider to see if you could have a “trial run” wearing each of these CGMs to see which is best for your lifestyle. It was a rainy Monday afternoon when Mary phoned to share her uncontrollable excitement! Mary’s husband of twenty years had just surprised her with an anniversary gift of a 21-day trip to Italy including a Riverboat cruise. To say you could hear and sense her excitement through the phone is an understatement! I have worked with Mary for about five years as her diabetes educator in supporting the management of her Type 2 diabetes. Near the end of the call, I sensed some concern in Mary’s voice. She was concerned about getting vaccinations for her trip as well as which medications to carry with her just in case she needed them – especially since a portion of the trip is on a cruise line. My recommendation is for her contact the local public health department regarding travel vaccines as well as the Centers for Disease Control website any travel updates. While Mary was making those contacts, I asked her to give me a day or so to work on the “just in case” medications list. The most important step before purchasing the “just in case” needed medications is making sure to have a list of all your current prescription, nonprescription drugs and supplements – including name, strength and how take it. Acetaminophen (Tylenol®) is the preferred drug. Make sure to not go over 4 grams (gms) (4000 milligrams (mg)) per day as > 4 gms may harm the liver. Acetaminophen (Tylenol®) or ibuprofen (Advil®, Motrin®) would be appropriate. Avoid ibuprofen when chronic kidney disease or NSAID induced peptic ulcer disease is present. Acetaminophen can interfere with DexCom G5 system. Antacids (i.e. Tums®) are a great option for treating heartburn and indigestion. Bismuth subsalicylate (Pepto-Bismol®) can treat upset diarrhea, heartburn, nausea and upset stomach. Heads up…it can cause black tongue and black tarry stool. Loperamide (Imodium A-D®) can treat diarrhea. If suspect food poisoning, seek out medical care rather than taking these medications. Meclizine (Dramine®) (less drowsy formulation) and diphenhydramine (Benadryl®) are both good options for treating motion sickness. Diphenhydramine has the added bonus of treating allergies and insomnia as well. If those who have previously experienced motion sickness when flying or on cruise, plan ahead next time by requesting your primary care provider for scopolamine patch prescription before the big trip. Artificial tears are the ideal eye drops for dry eye. Watch out for dry eye especially when on long flights. When shopping for these medications, make sure to check with the pharmacist if you have any questions or are concerned about possible drug interactions. 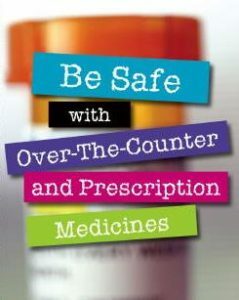 Also, remember more is not always better when it comes to medications. I phoned Mary later in the week with her “just in case” needed medications list to ensure that she was ready for her big trip. She was grateful for the list and shared that she had an appointment for her travel vaccines next week at the local health department. She shared that she could now focus on the rest of her “to-do” list and promised to shares with me some pictures from the trip of a lifetime. FOOTNOTE: Some traveler’s say they don’t want to pack and carry around all of those OTC products and will just wait until they arrive at their destination or wait until needed. Hunting down a pharmacy is extremely time consuming and infringes on site vital seeing time. Also, purchasing those items in a hotel sundry shop or at a ship board store is exceptionally costly – so go ahead and take care of those items before you leave home! Bob, who has Type 2 diabetes and high blood pressure, phoned me bright and early Monday morning stating he had a cold and cough and was unsure of what product to take. It is so common to experience the sheer confusion like Bob when choosing a product to treat cold and cough. What is one to do? Is it nonproductive or productive? What color is the secretion? Back to Bob, he stated that he had a sore throat, stuffy nose and dry cough for the last few days. 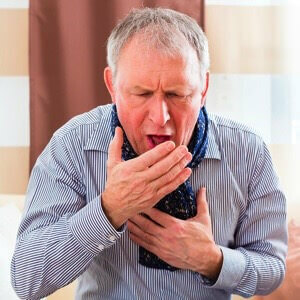 His coughing spells had made it difficult for him to sleep through the night not to mention his co-workers’ frustration of listening to his hacking cough at the office all day – of course Bob is frustrated! 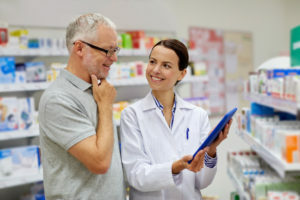 Are you aware that pharmacists are medication experts and the most accessible healthcare professionals? Don’t’ be shy about discussing with the pharmacist in your local pharmacy for recommendation for non-prescription products to treat your cold or cough? Make sure to tell them your specific symptoms related to your cold or cough. Next, share with them all prescription and non-prescription (vitamins, supplements and other over the counter medications) medicines that you are currently taking as well as any drug allergies. The old notion of taking large doses of vitamin C or drinking orange juice to prevent or treat colds simply is not true. Sore throat lozenges or liquid cold non-prescription medicines will treat your symptoms plus leave you with high blood sugar – go with only sugar free syrups and sore throat lozenges. If you have been diagnosed with high blood pressure, avoid decongestants (pseudoephedrine, phenylephrine, oxymetazoline) (as they will raise your blood pressure). – Hand washing is vital. While washing hands with soap and water is ideal, cleaning hands with hand sanitizer is a great alternative. o Did you know that many nonprescription combination products used in treatment of colds already has acetaminophen included in it? My recommendation for Bob was to purchase a saline nasal rinse for his stuffy nose, sugar-free sore throat lozenges and dextromethorphan for his dry cough. He phoned a few days later stating that he was beginning to feel better and getting a good night’s sleep without waking to cough spells – and he said his co-workers are happier as well!